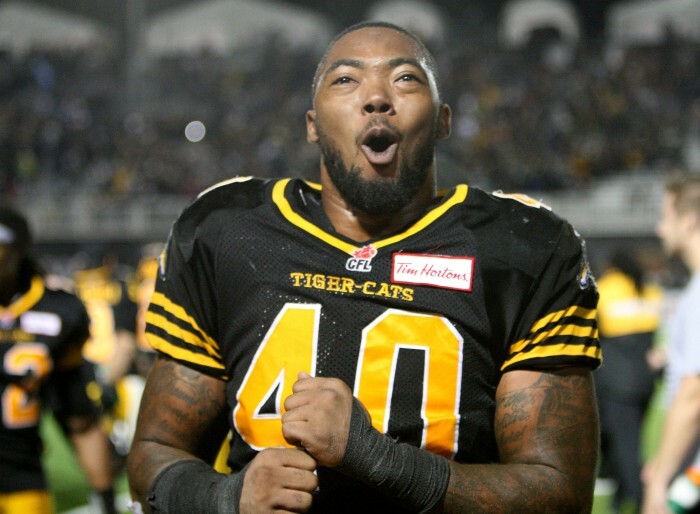 Former North Cobb Warrior and Hamilton Tiger-Cats defensive end Eric Norwood helped Hamilton move to a 10-0 record at Tim Hortons Field with a 52-22 win over the BC Lions on August 15th. 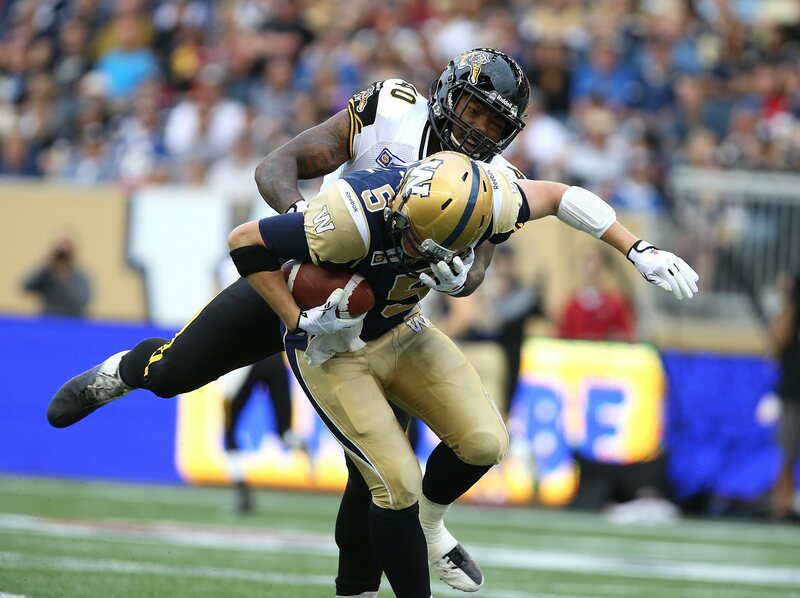 He has been named one of the CFL’s Shaw Top Performers for Week 8 of the 2015 season. Norwood, one of the most decorated players in SEC history at the University of South Carolina, scored his first career touchdown after Ted Laurent forced the fumble on BC Lions running back Andrew Harris and Norwood collected the loose ball and returned it 26 yards to give Hamilton the 13-0 advantage in the first quarter. Later in the quarter, Norwood tracked down Lions’ quarterback Travis Lulay for a three-yard sack that stalled the Lions’ drive. On the final play of the first quarter, Norwood wrapped up Andrew Harris and forced a fumble that was recovered by his teammate Donald Washington. The Acworth, Georgia native recorded a total of four tackles in the game to give him a total of 15 tackles and four sacks on the season. The former South Carolina Gamecock holds career records in tackles for a loss with 54.5 and sacks with 29. The CFL is the highest level of competition in Canadian gridiron football. It was founded on January 19, 1958 and currently has nine teams in nine cities. After a 20-week regular season, six teams will compete in three-week divisional playoffs for the 103rd Grey Cup presented by Shaw this November in Winnipeg, Manitoba. The Grey Cup Championship is Canada’s largest annual sports and television event.